How to duplicate questions multiple times based on user input? 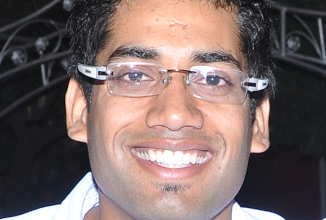 I am trying to creat a registration form. My users can be vareid from one user to up to 10. I dont want the user to have to fill out the form 10 seperate times if they are going to input 10 people. SO example would be Asking how many users your reuqesting this for. User inputs 3 so then 3 fileds show up with first name last name email and title and phone. if the user answeres that question with 4 the the same fields appear 4 times. If they put 10 then the fields requeired appear 10 times for input. I hope I am asking my question clearly. I also would like it to not creat any fields if the first question is 0 or less then 0. Please advise what is the best fastes way to be able to do that. Thank you in advance. 1. Create a new form in your builder. 2. Add a dropdown to ask how many user is to be created. 3. Add a form collapse field in your form which is under "Survey Tools"
4. Add all the question you need to ask your user under this form collapse. 6. 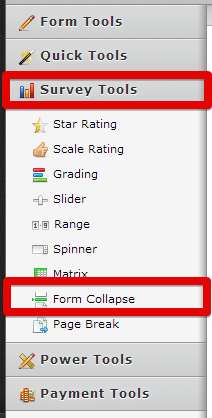 Now you can use the "Conditions" feature to show/hide these form collapse based on the value of dropdown user selects. the logic i want is a whole lot simpler, please explain how to achieve this.